In just their first year of being open, The Commons Brewery has accomplished more than many breweries could hope for in a lifetime, already asserting themselves as one of the best breweries in Portland, Oregon, a city with more craft breweries than any other. In their first two entrees at major national beer competitions, the brewery, let by owner/brewmaster Mike Wright, brewmaster Sean Burke, and everything guy Josh Grgas, has won medals at the World Beer Cup and the Great American Beer Festival. But it’s not just the hardware that puts a brewery at the top of its game, it is also the respect of the community. And The Commons have earned no shortage of this. Their Belgian-inspired farmhouse beers of Wright’s brewhouse is the focal point of The Commons’ imaginative and thoroughly palatable repertoire. Beers like the flagship Urban Farmhouse Ale (WBC bronze medal 2012) and the Brettanomyces-innoculated Flemish Kiss (GABF silver medal 2012) are a few examples of the diligence and care with which each small batch is bestowed. Originating in Wright’s portioned home garage under the guise of Beetje, The Commons has steadily grown into a Southeast Portland staple for not just beer geeks but foodies as well. 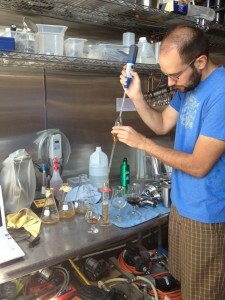 The implementation of magnificent flavors through the infusion of unique ingredients with a diverse range of processes illustrate the brewers’ collective passion for not just knocking out a consistent product, but also a playful nature that evolved palates seek out here in Cascadia. On December 6 and 7, 2012, Join The Commons Brewery in celebrating first year of hard work and spectacular brew as the pay homage to the community that is unquestionably picking up what they’re putting down. 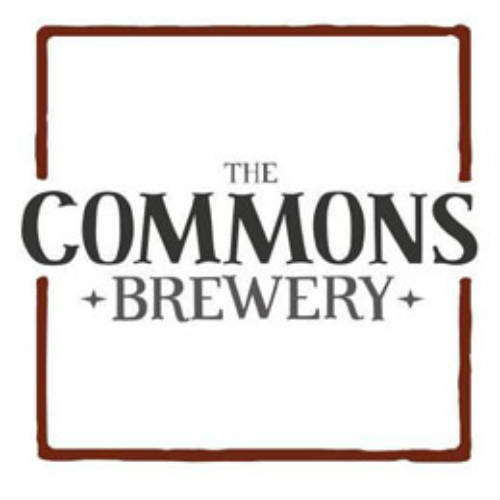 Portland, OR – The Commons Brewery will be recognizing their one year anniversary by celebrating two nights: Thursday, December 6th and Friday December, 7th from 5:00-9:00pm at the brewery. 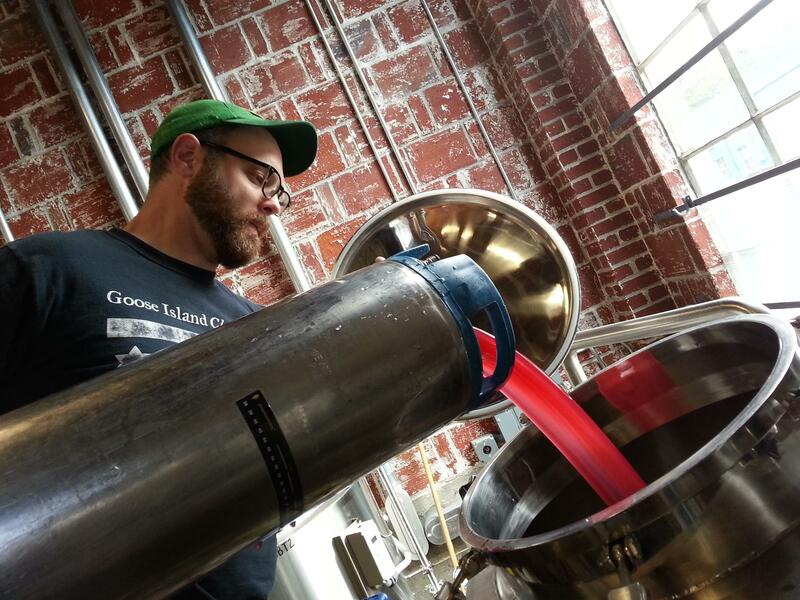 While the The Commons has roots in Mike Wright’s garage as Beetje Brewery, there was effectively a reset when the venture moved into the new space and started brewing on the new 7bbl system. The doors to the tasting room opened December 3, 2011, “We put a stake in the ground and declared that day one of the new business.” noted Mike Wright. 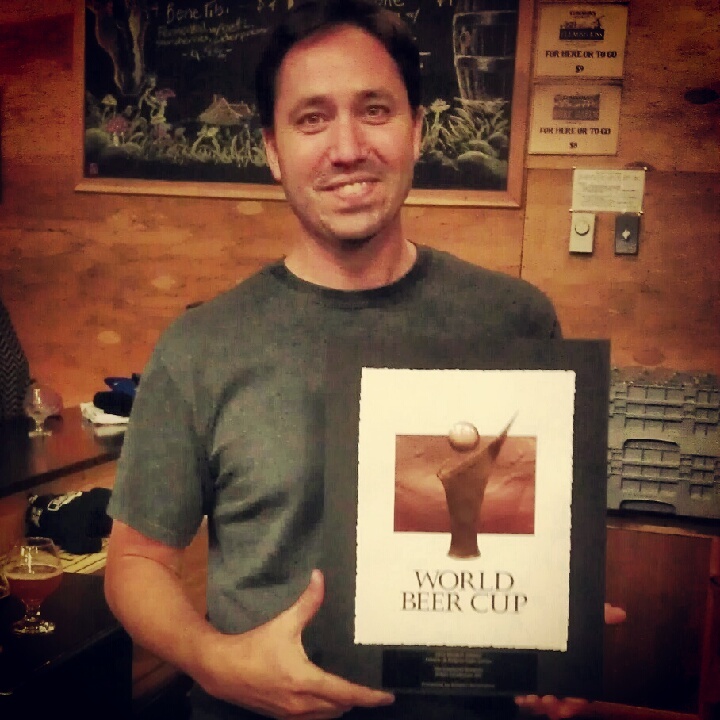 With the garage only a distant memory, Mike never imagined that a year later the beers that started the brewery would take home two medals with Urban Farmhouse Ale winning bronze at the World Beer Cup and Flemish Kiss winning Silver at the Great American Beer Festival. The Commons would like to take a moment to recognize all the hard work put forth over the last year and thank their customers for the unbridled support by hosting two events. Thursday, December 6th from 5-9PM marks the release of Bourbon Little Brother, our Heaven Hill Bourbon barrel aged Belgian Dark Strong. We’ll have 750ml bottles for sale for $11 and $125 per case. To celebrate we are hosting a potluck & bottle share in our brewery. Just show up with a bottle of beer and/or food to share with friends. On Friday, December 7th from 5-9PM we will tap a few special kegs including the last bit of Plum Bretta and provide appetizers from local friends Lardo, Pacific Pie, 2nd Story, and Cheese Bar. At 7pm we will mark the anniversary with a toast. 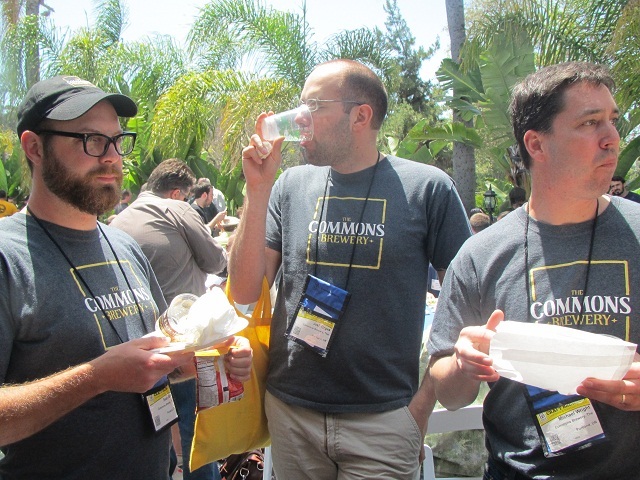 The Commons Brewery crafts small batch approachable and balanced European-inspired beers. The tasting room is located at: 1810 SE 10th Ave., Unit E (entrance on SE Stephens between 10th & 11th). The Commons tasting room hours are: Thursday & Friday 5-9pm, Saturday 2-9pm. Sorry guys, couldn’t resist posting this priceless picture of y’all. Love you guys! Congrats!